Below is a copy of my statutory objection to the approval of the accounts of the Merseyside Pension Fund (a £6.9 billion pension fund that form part of Wirral Council’s accounts) which go to Wirral Council and its auditors Grant Thornton. It’s rather dull and technical, but in the interests of openness and transparency I am publishing it below. It relates to yesterday’s meeting of the Pensions Committee that can be viewed below. I was so cheesed off I made two spelling mistakes in the email (a corrected version is below). I reckon receiving this email will probably be about as welcome at Wirral Council as someone breaking wind in an open plan office. However such is life! The press are independent for a reason! I am a local government elector in the Wirral Metropolitan Borough Council area and make this statutory objection to the Pensions Committee approval of the the Merseyside Pension Fund Accounts for 2014/15 (see Audit Commission Act 1998, s.16). For the purposes of clarity to the auditor this is a statutory objection to a matter not in relation to a matter covered by Audit Commission Act 1998, s.17-18 but Audit Commission Act 1998, s.8. As required I am sending a copy of this objection to the auditor, those I have contact details for on Wirral Council’s Pensions Committee (I do not have an email address for Cllr Treena Johnson), Wirral Council’s Audit and Risk Management Committee and those tasked with corporate governance at Wirral Council such as the Monitoring Officer Mr. Tour, the Head of Pensions Peter Wallach, the Strategic Director for Transformation and Resources Joe Blott and Tom Sault the Acting 151 Officer as well as other relevant people. I do not have contact details for some on the Pensions Committee. I am sending this to the officer who took the minutes of the Pensions Committee meeting on the 14th September 2015 in the hope that it can be forwarded to those I do not have contact details for (the non-councillor members and Cllr Treena Johnson). As this is a rather technical objection, I provide below a summary of the key points. However I first need to declare an interest. I have a close family relative who is currently paid a pension by Merseyside Pension Fund, therefore a close interest in the corporate governance of the Fund being done properly. 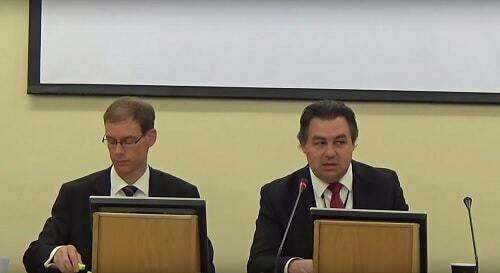 On the 14th September 2015, I and three other members of the public (two of whom were employed by Grant Thornton and are Wirral Council’s auditors) attended a public meeting of Wirral Council’s Pensions Committee. One of the functions of the Pensions Committee as detailed in Wirral Council’s constitution is to approve the statement of accounts and financial statements of the Merseyside Pension Fund and recommend these to the Audit and Risk Management Committee. This is because the Merseyside Pension Fund forms part of Wirral Council’s accounts. There is a statutory deadline to approve the statement of accounts for the 2014/15 financial year by the 30th September 2015. As mentioned at the Pensions Committee itself by one of the councillors this Fund is valued at ~£6.9 billion. Item 4 and 5 on the agenda of that meeting were the pension fund accounts 2014/15 and draft annual report. As the Pensions Committee is a public meeting of a local authority, legislation that governs public meetings applies to it. The statement of accounts formed part of a document known as the “Report & Accounts 2014/15” which was given to those on the Pensions Committee present on the afternoon of the meeting itself. Please note the reference below to principal council, by virtue of Local Government Act 1972, s.100E also apply to committees and sub-committees of a principal council. The Pensions Committee is a committee of a principal council. Local Government Act 1972, s.100B(4), is quite clear on the procedure that should be followed in the case of agenda items that are not open to inspection by members of the public five clear days before the meeting. It is clear that the Report & Accounts 2014/15 for the Merseyside Pension Fund did not fall under the description in s. 100B (4)(a) and therefore the procedure in 100B(4)(b) applies. The Chairman of the Pensions Committee Cllr Paul Doughty did not specify at the meeting itself his opinion that the item should be considered as a matter of urgency, nor would the reasons for this be specified in the minutes. This is an important corporate governance safeguard written into legislation. Firstly, if the documents are not made available to the public five clear days before the meeting, the public and press cannot scrutinise them. Secondly (as was mentioned at the meeting itself) at least one councillor expressed the view that half an hour was insufficient to scrutinise a highly technical 46 page document. This is not a one off occurrence. Officers in previous years have frankly played these games of brinkmanship with accounts routinely handed to those tasked with corporate governance to approve on the evening of the meeting itself. The safeguard above in s.100(4)(b) above, details a procedure to be followed if the matter is urgent. (b) it is clear from the legislation that a procedural step was missed making the decision ultra vires. I am however not an unreasonable person and suggest the following course of corrective action. If this is followed I will happily withdraw my objection. i) That the Pensions Committee holds a further meeting between now and 30th September 2015.
iii) That at this special meeting it considers the items referred to in this objection in a way that is not open to legal challenge or perceived to be ultra vires and that the information for this meeting is published on Wirral Council’s website five clear days before the meeting. As Wirral Council’s auditors Grant Thornton will no doubt make clear, the matter that forms this objections needs to be resolved before the accounts are signed off. I look forward to reading and hearing responses to this objection. However as this is a perceived serious corporate governance failing, I am making this objection public. « What would meetings be like at johnbrace.com if it was part of the public sector? Haven’t had time to read this yet but seeing the names from the Fudgit and Risk It Committee has to be a complete farce like Gra Gra’s farce of a public meeting into Big ISUS and Working Neighbourhoods. People like “The Pretend Friend” Clowncillor “Crispy Creamy Doughnut” “The Abbot” et etc etc would not have a clue between them. I would challenge any one of these useless buffoons to debate Wirral “Funny” Bizz with “Highbrow”. You know John they would not dare making absolute fools of themselves. They are not fit for purpose just nodding and winking to the incompetent blundering senior officers. And we all know who they are! The “Pretend Friend” can be excused from the challenge not because he admits to not understanding accountancy he would not be able to stay awake. John do you know if he has ever been found asleep and snoring whilst stabbing a friend or anyone in the back after smiling nodding and winking at them? I have seen councillors fall asleep during public meetings (and woken up to vote), but not the councillor you are referring to. Smoke and mirrors with “The Pretend Friend” John he is asleep but pretends he’s not just like he pretends to be “Highbrows” friend and shafts him proper. An absolute scumbag of the lowest order.